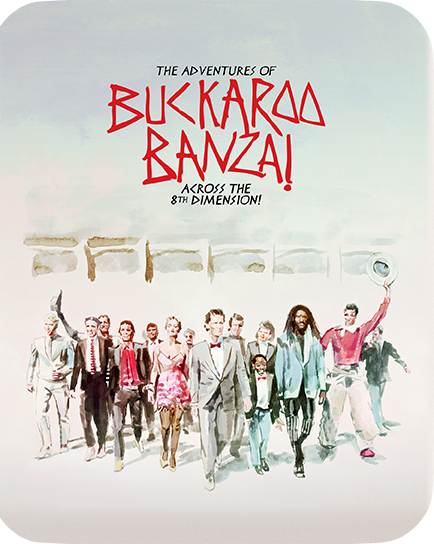 The following title, "The Adventures of Buckaroo Banzai Across the 8th Dimension! ", is coming out on May 15th, along with "Bill and Ted's Excellent Adventure" [30th Anniversary Edition SteelBook], both from Shout! Factory. Welcome back to our forums! You’ve definitely posted this in the right place, as any issues regarding BestBuy.com can most definitely be addressed here. We always want to make sure our product descriptions on BestBuy.com are as accurate as possible, and it’s posts like this that help us do just that, so I’m glad you were able to bring this to our attention! Going forward, I’ll be passing along your feedback to the appropriate teams here at Best Buy to review the product description of The Adventures of Buckaroo Banzai Across the 8th Dimension!, and make sure it’s represented accurately.